FIT FOR MOST DEVICE: Compatible with Android and iPhone devices in 3.5-5.7 inch screen.Iphone 8/8 plus/X Need to bring their own headset conversion line. 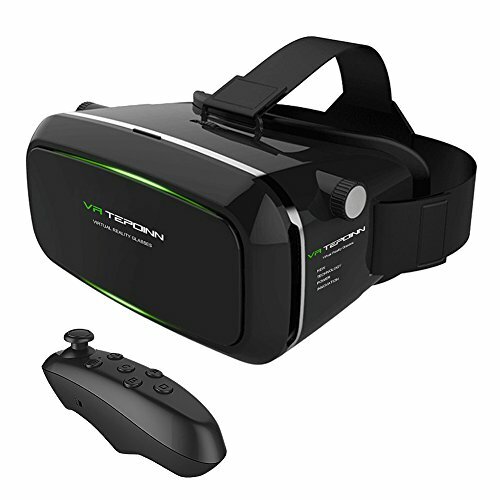 The Remote is free gift for this VR TEPIONN Glasses,It is need to open your phone remote equipment connection can usage, It is not game remote. It can only control the videos pause or play, volume enlarged or lowered,forward or backward etc. If you need to play games,we suggest you purchase a professional game remote.